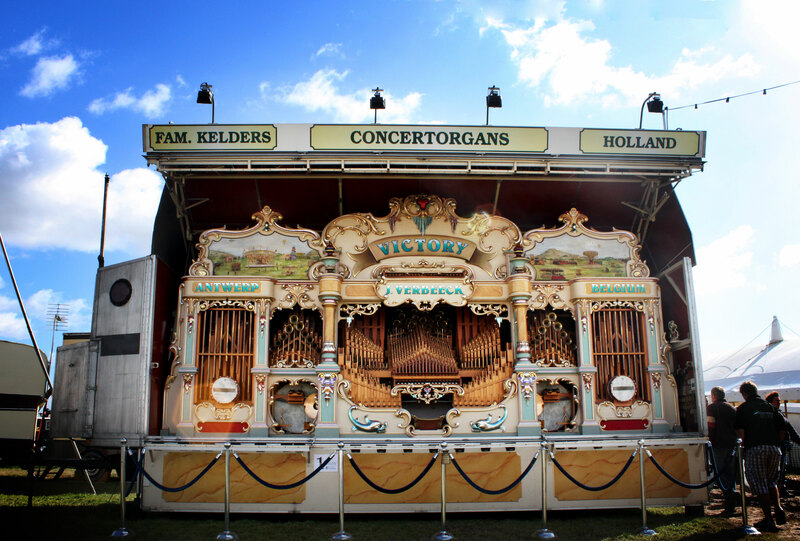 The Locomotion is a unique combination of a typical Dutch streetorgan and a belgian dancehallorgan. The result is a surprising sounding multifunctional and versatile mechanical organ, all in a small sized package. The Locomotion sounds surprisingly clear and bright. The repertoire is over 150 hours of different music in every possible style. Special playlists can be made. A special full-hydraulic displaytrailer is constructed in our workshop. 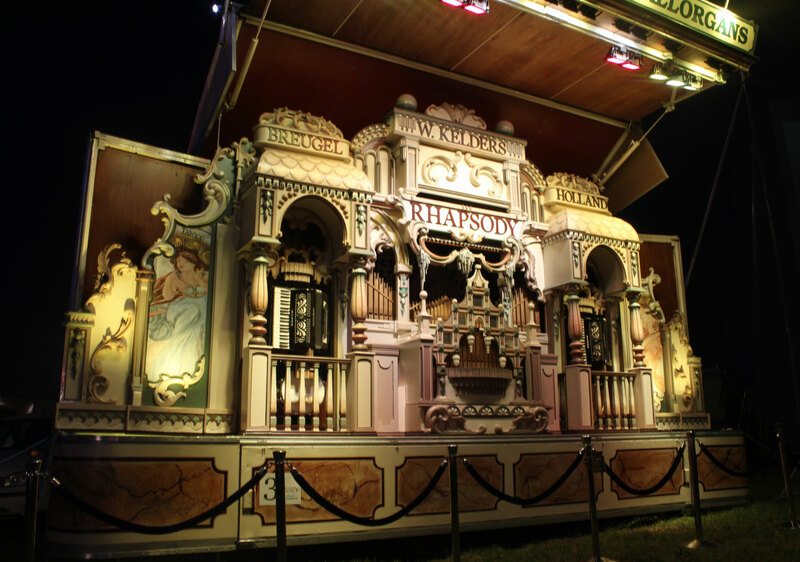 This trailer has a kind of drop-system that lifts off the complete organ when necessary. This makes it possible to wheel the Locomotion into a building or inside a tent. 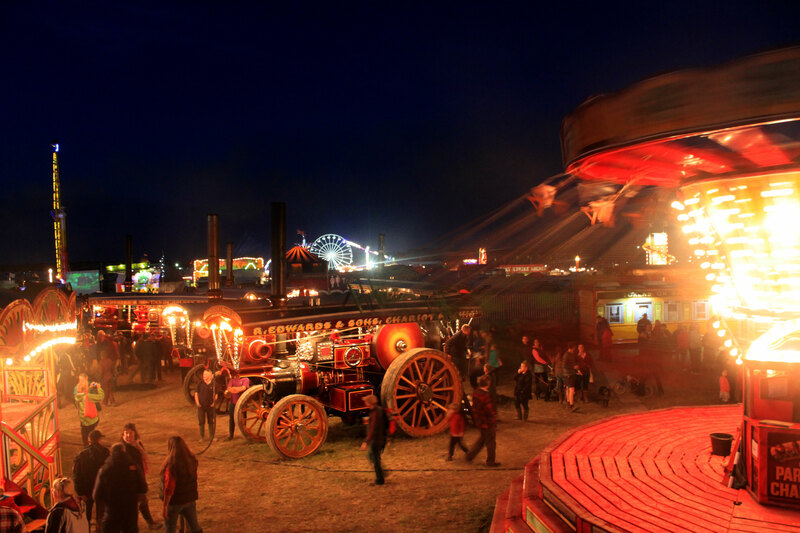 Even placing the Locomotion on stage, or in a fair is no problem. 300 organpipes plus percussion, spread over 4 fixed registers and 13 interchangeable registers. The Locomotion needs approx 5000 ltrs of air per minute. The Locomotion can also play fully built up, when the wetherconditions are not too bright. 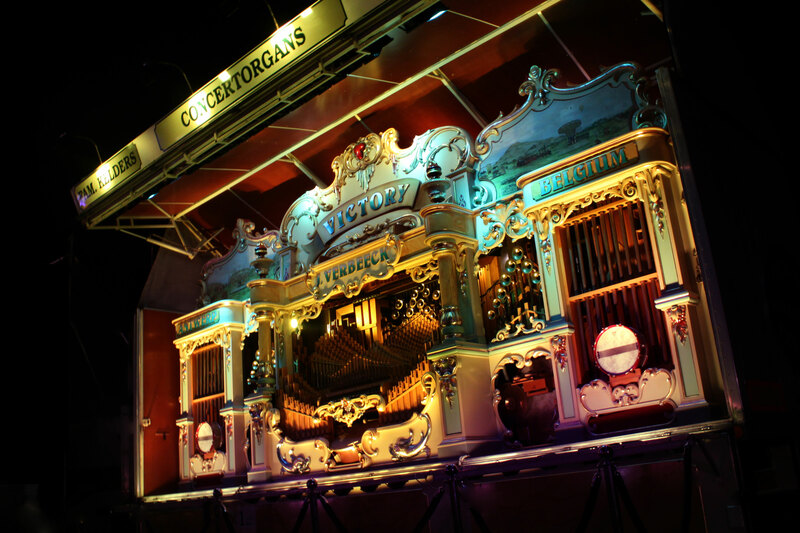 A special lightingset is built inside the organtrailer. The complete hydraulic system is a great help to set-up on location. The time we need on location depends, but under normal circumstances we can play in 15 minutes after arrival. For an indoor set-up we need in between of 60 and 90 minutes. This depends of the access we do have.